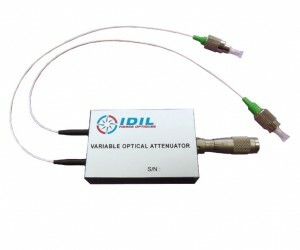 IDIL Fibres Optiques supplies a continuous Variable Optical Attenuator (VOA) with an unmatched high dynamic range and an ultra low insertion loss. Our VOA is tuned thanks to a micrometric screw which allows an excellent repeatability but also a very high resolution since it can be over 30 dB. IDIL developed two mechanics regarding VOA. Actually, our product is both compatible with single and multi-mode fibers. The packaging is the same in both cases. 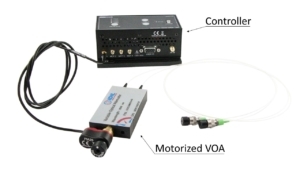 VOA provided by IDIL has been designed to be used within the context of telecommunications and instrumentation applications. However, beyond those areas, our band held product leads to other various applications. Furthermode, IDIL can provide fixed attenuators. 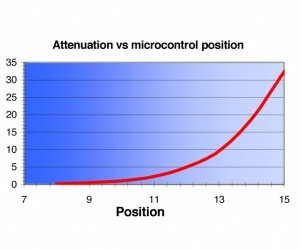 Those attenuators were designed thanks to a technique entirely based on optical fibers which allows a very good behaviour towards power. Thus our fixed attenuator withstands power over 5 W.
Variable Optical attenuators are commonly used to test optical parameters by temporarily adding a calibrated amount of signal loss, or installed permanently to properly match a fixed power signal. VOAs have the advantages of being stable and offering a large dynamic range > 30 dB. IDIL VOAs can be manual, motorized or cascaded.